Have you discovered that Google Reader is gone and that now you don't have an easy way to read the blogs you love without clicking all around the interwebs? I switched to Bloglovin as my blog reader. I like that it has a picture to show you a taste of what the post is about. It is also easy to click on a post, have it open in the Bloglovin frame, and use the buttons to move to the next unread post. You can categorize the blogs you read as well, so if you only have a few minutes, you could just read the blogs that are the same grade level as yours instead of wading through all the posts. (Assuming you have a looooong list of blogs you follow like I do.) Bloglovin also has an app that lets you check out the blogs you are stalking following anywhere, any time. There is a button on top of the column just to your right that will let you follow my blog using Bloglovin. Here's your chance to check out some great blogs that might be new to you. 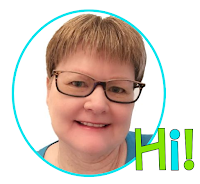 Laura Candler is hosting a linky for elementary blogs. Go check them out! Make sure you follow Laura's blog, Chalkboard Connections, if you don't already! She is fabulous! Oh my goodness! I am in love with your blog name. Too cute! I found your blog on the Blog Hunt. I teach a 3/4 class, so I added you to my Bloglovin feed! I can't wait to explore Krazy Town. Hey Suzanne! I finally found your blog on the blog hunt and I am now following you on both Bloglovin' and I joined though Google as well. I would love for you to check out my blog!